I picked up a 2-pack of OrangeArt’s pocket sized tattersall letterpress printed notebooks at Black Ink in Harvard Square awhile back. The 2-pack was $8.50, so pretty pricey. 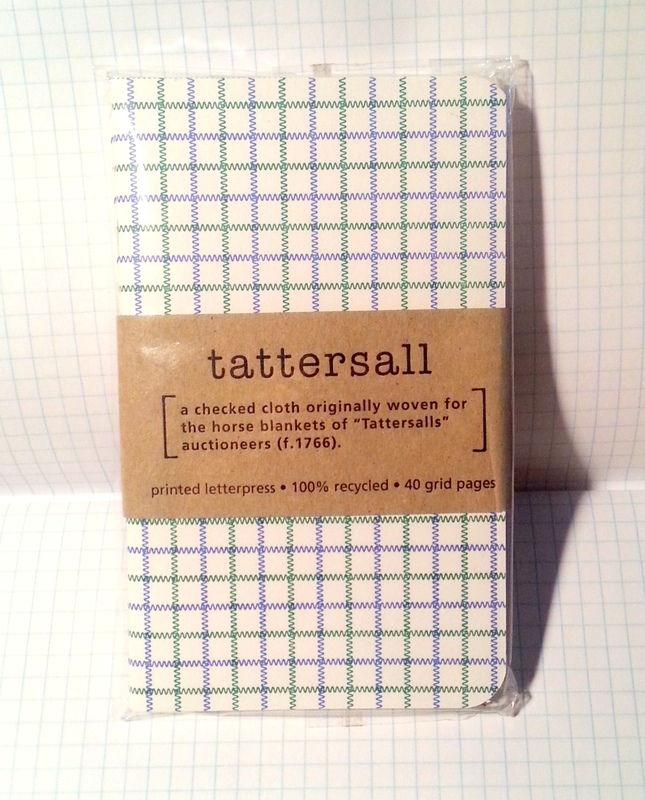 Each notebook has a cover and pages that are letter press printed with a tattersall pattern. 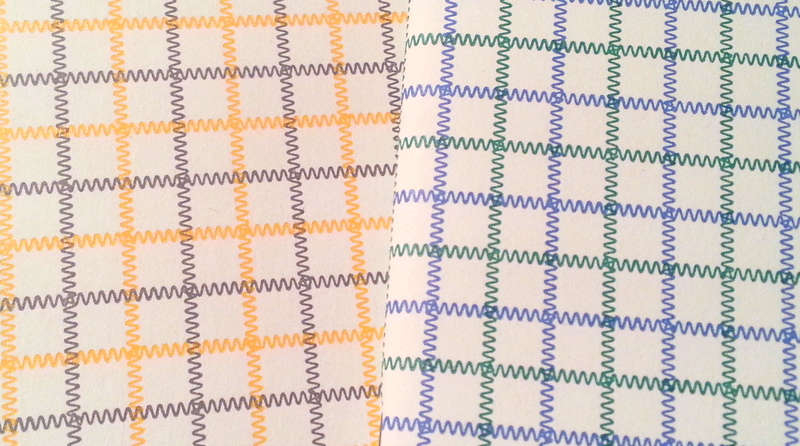 Basically zigzag lines in a large grid pattern. The covers are printed in 2 colors while the interior is a nice shade of gray. The interior paper is nice, toothy enough for pencils and smooth enough for fountain pens. Fountain pens perform reasonably well on this paper, with a little show through and hardly any bleed through but for where I rested my pen a second too long. 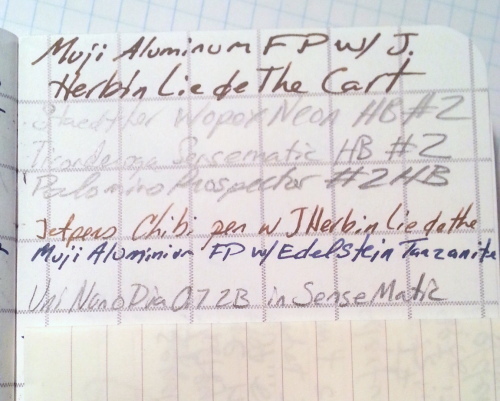 I used 3 inks in my testing, Pelikan Edelstein Tanzanite, J. Herbin Lie de The, and Noodler’s Heart of Darkness. All were in medium or fine nibbed pens that run wet. I had no feathering or widening of the lines. With the finest of pens the paper made them feel scratchy, but not bad enough to stop me from writing. Pencils performed admirably on this paper. I was able to use my soft dark Palomino Blackwing (“original”) as well as my harder lighter Mirado Black Warrior to good effect. The paper was toothy enough to pull off a decent amount of graphite but not so toothy it felt like I was writing on a cheese grater. Pretty much just right. The book is held together with 2 standard staples. This works reasonably well. I did not subject this to a stress test as this book was my at-home journal and even there lived in a leather cover. The cover is letterpress printed in 2 colors on white. The cover paper is not much heavier than the interior pages and feels flimsy. It is the worst part of the whole book. While pretty, this cover simply isn’t going to hold up to much abuse or pulling in and out of a back pocket. This is a paper cover that necessitates a case for any use out and about. 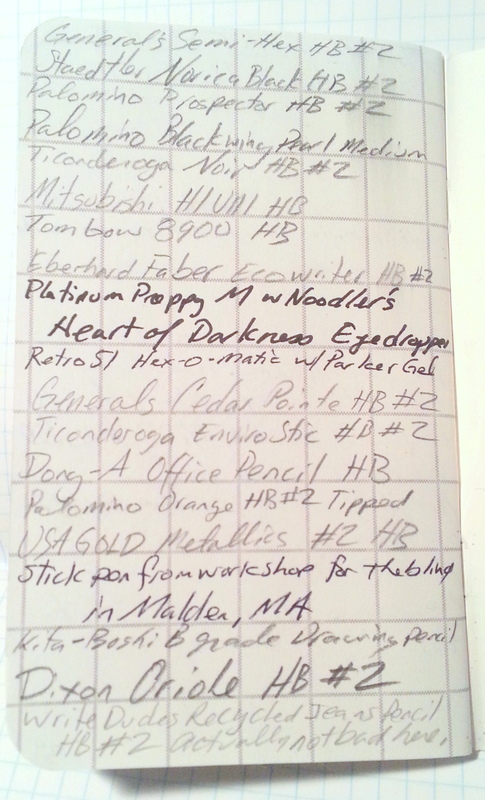 The 40 pages take fountain pen and pencil well. 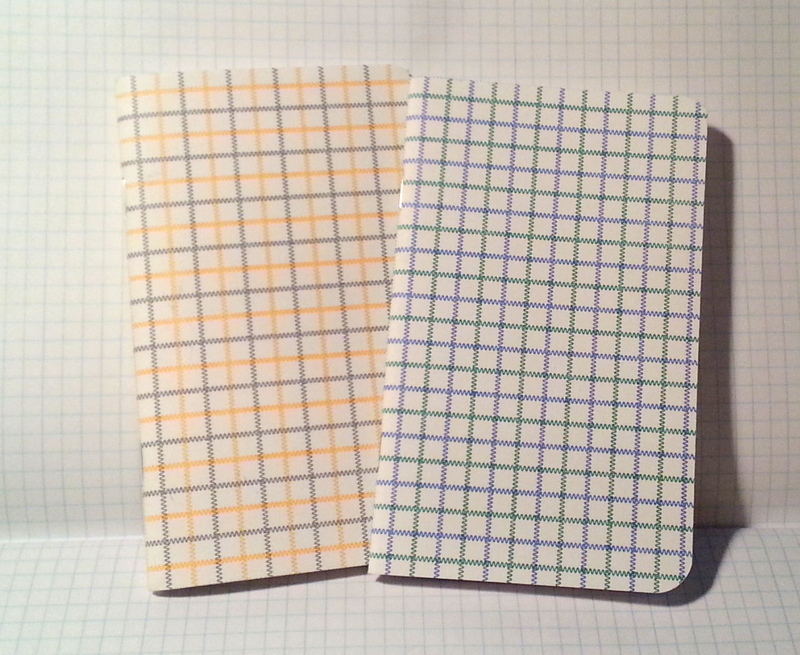 This notebook has 8 less pages than other pocket notebooks that are cheaper. The ruling is also odd. It is a gray version of the exterior printing but without the cool letterpress imprint*. The ruling is super wide, about double the width of a Word notebook and most other ruling. It measures in at 13mm. Super wide. i was able to fit 2 lines of writing into one line. I find this annoying. 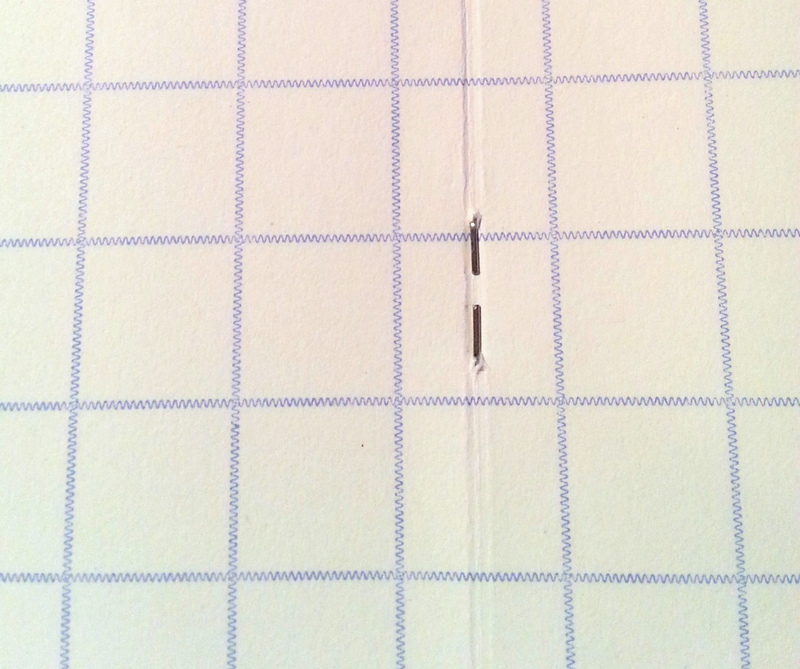 the ruling is also thick about .5mm. 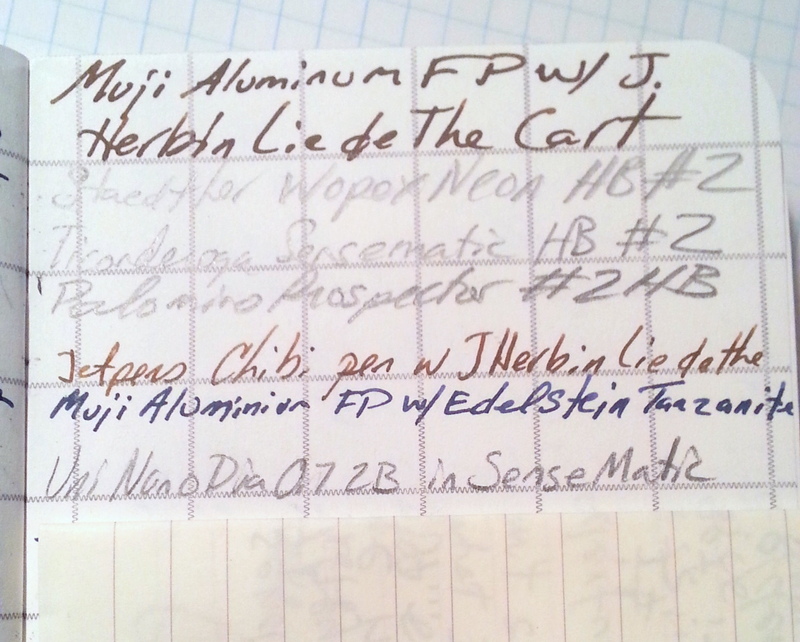 even though it’s gray it shows up under all my writing and remains very noticeable. They are available without the ruling. If I were to buy these again I’d look for them with blank pages. 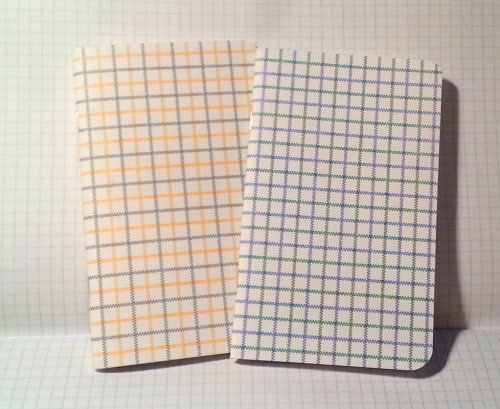 Overall these are very pretty pocket notebooks and wonderful if you use a case/cover for your books. 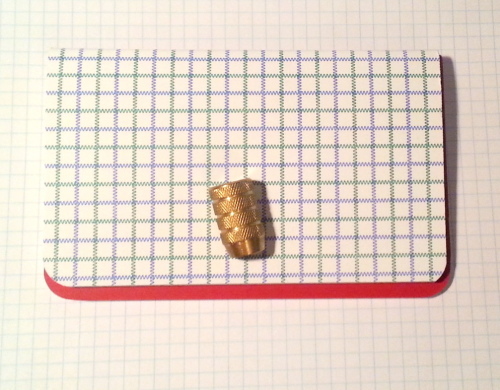 If you use fountain pens you will be pleased with the interior paper, and likewise for pencil. 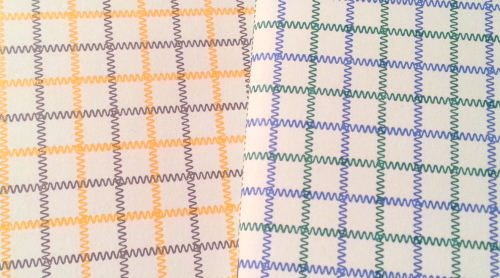 They are higher priced than Field Notes or Word notebooks, but boast letterpress printed covers and interior pages. Worth it if you like letter pressed items and want something a little different from the standard fare. 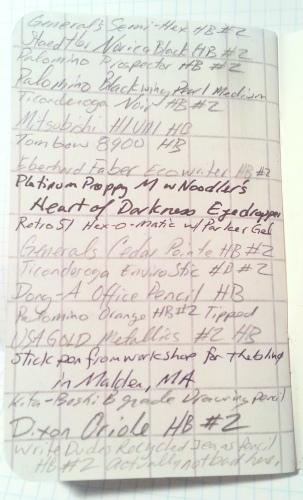 Here you can see the Tattersall on top of a Field Notes Red Blooded, it’s a tad smaller than the Field Notes. 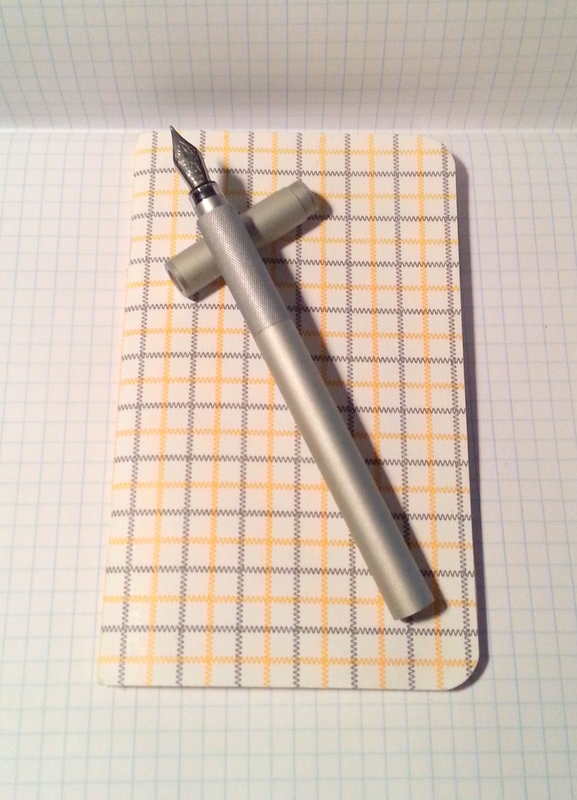 This entry was posted in Review and tagged fountain pen, graphite, ink, notebook, orange art, orangeart, pencil, pocket, small, tattersall on 20141118 by leslie.